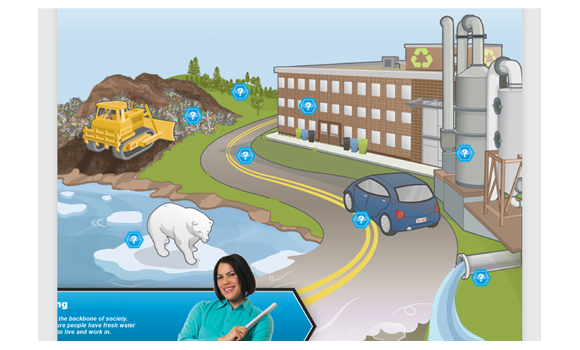 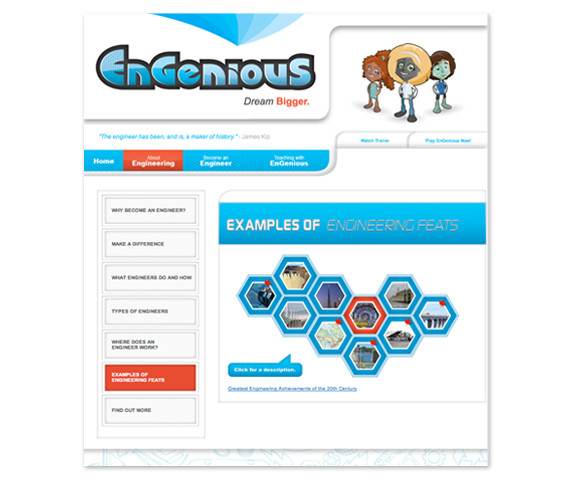 The EnGenious website is a large component of the APEGA outreach initiative. 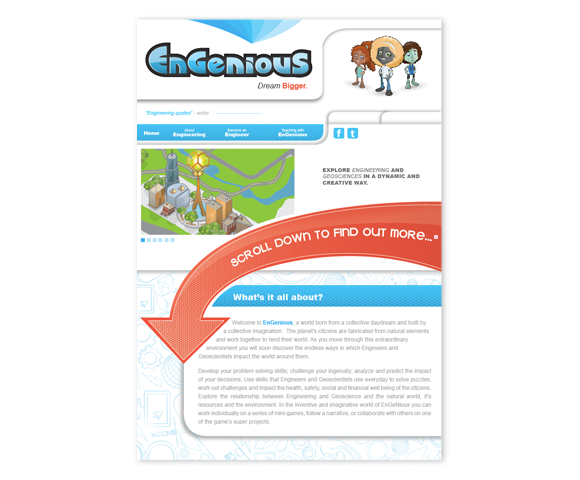 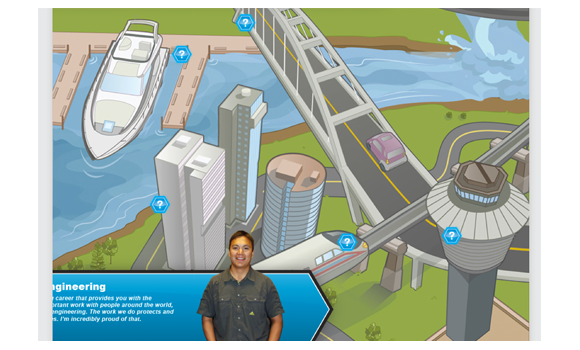 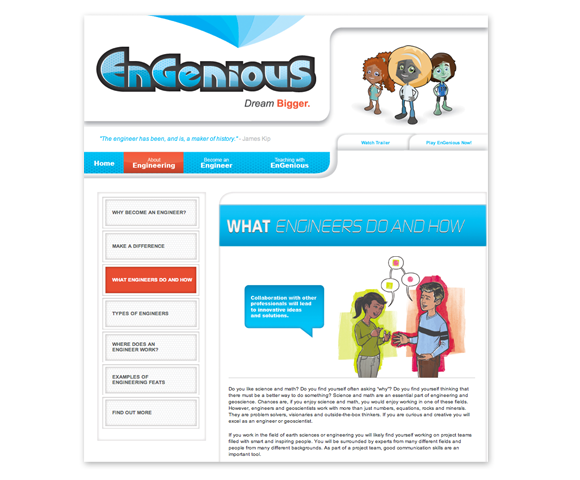 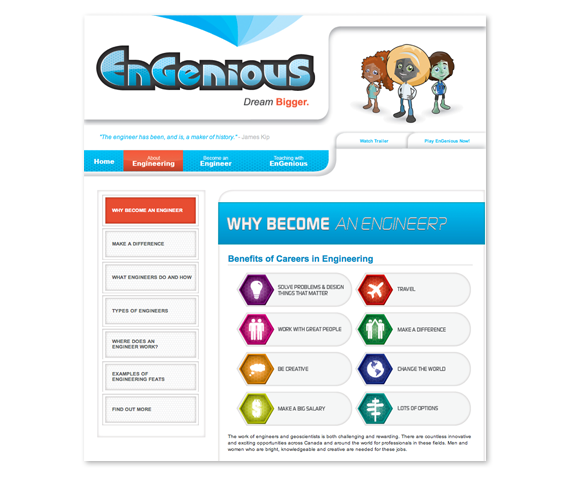 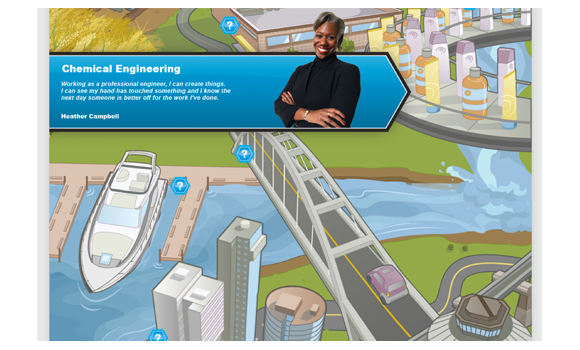 The site houses loads of information around careers in engineering, required education to become an engineer and curriculum based tie-ins to the games in the World of EnGenious. 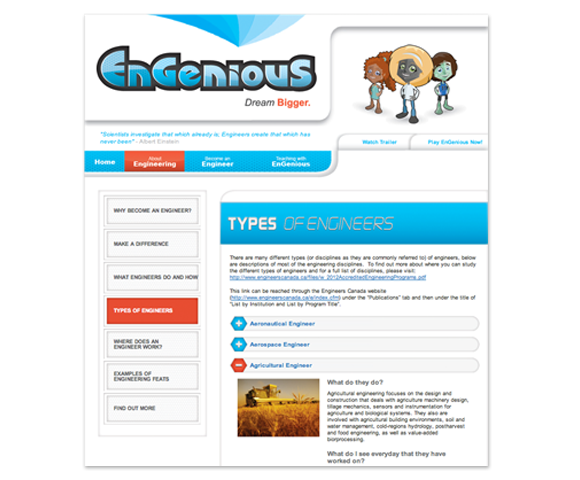 The site was coded by Jordan McIver, while Pulp Studios Inc. handled all the wire framing and design of the site.